zipbuds.com The newest Slide earbuds have a zero-friction slider. They call it a “zipperless zipper.” With a clean, distortion-free mix of clarity and bass, these buds have award-winning sound. And they have an integrated microphone, too. Founders Erik Groset (the offspring of a famous inventor, his great-grandpa invented the ice cream cone-making machine) and Robin DeFay (a former pro poker player) are lifelong buddies. 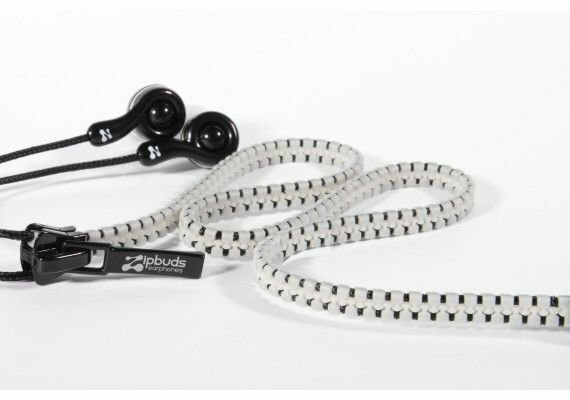 They started Zipbuds in 2007, and even earned an invitation to The White House to speak about their business. We can thank them for letting us spend less time untangling cords and more time enjoying the music.